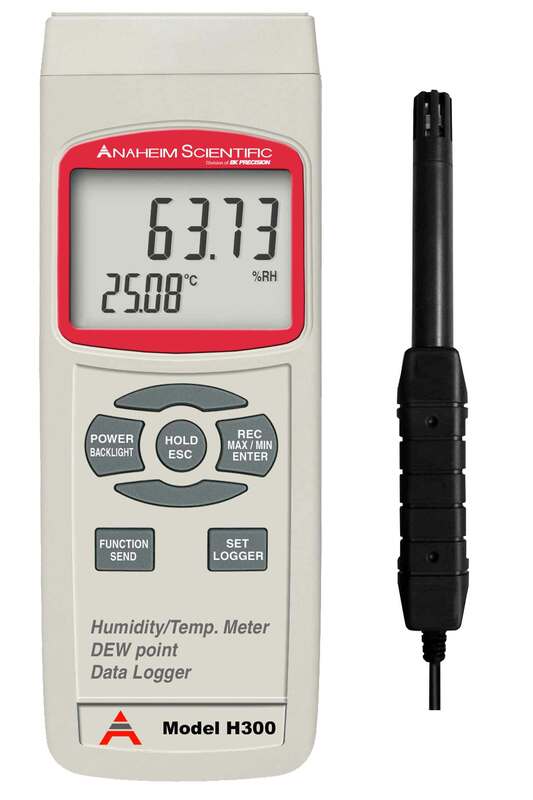 The model H300 is an ideal meter for taking Temperature, Humidity and DEW Point measurements. All three measurements are important for maintaining optimal levels during environmentally sensitive manufacturing of items such as; cosmetics, pharmaceuticals, paints, chemicals, foods etc… They are also important indicators of good indoor air quality in hospitals, hotels or office buildings. Lightweight and easy to use, the model H300 is the perfect tool for HVAC and IAQ monitoring.